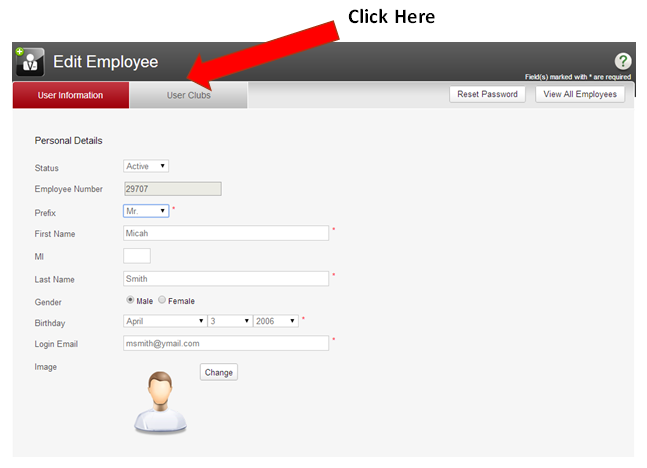 From your Home Page, click View All Employees. 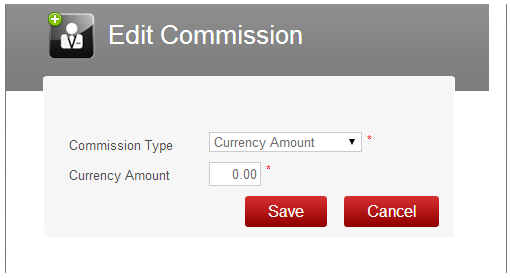 Click the icon in the Edit column next tot he name of the employee for whom you wish to set or edit commissions. Employees can have individual commission structures at each of the clubs where they work. Therefore, click the icon in the Commission column corresponding to the club for which you wish to set or edit commissions. 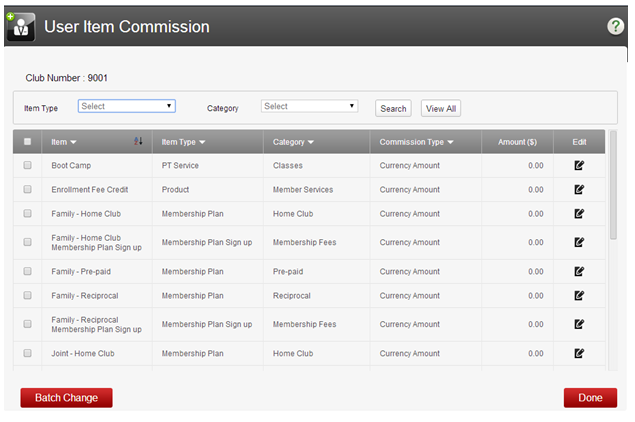 Using the Commission Type drop-down menu, you can select the type of commission to be paid to the employee. There are three types of commissions: Currency Amount (for example, the employee makes a straight $5 commission on the sale of this item, regardless of the selling price); Percentage Amount (for example, the employee makes a straight 1-% commission on the price of this sale); or Currency and Percentage (for example, the employee makes $5 commission plus 10% of the price of the sale). Make your selections, and click Save when done. You can also make "Batch Changes' wherein you set the commission structure the same for two or more items simultaneously. To take advantage of this feature, simply check off those items you wish to change, then click the Batch Change button.